The French countryside in the Bourgogne, or Burgundy, is as beautiful as you’ve heard. Rolling hills, vineyards surrounded by old stone walls, picturesque farm buildings, and the occasional châteaux perched on a hill. Burgundy is full of options when it comes to exploring châteaux (French castles), and I’ve detailed our trips to two local sites below within a short drive of Beaune. A short drive outside of Beaune, France, is the Château de la Rochepot. Perched on a hill above a small village, it is a beautifully restored example of the local Burgundian style with its distinctive glazed roof tiles. My husband took this incredible drone footage of the area. Like many castles, it has been through several phases of destruction and rebuilding. The first castle structure was built on the larger site in 1180, and burnt down within 100 years. These ruins are still in the nearby forest. The basis of the buildings standing today were built in the 15th century, with the minor castle being bought and sold, inherited and passed on, for the next several hundred years. During the French revolution, like many other grand structures, it was declared a national property. Unfortunately, it was heavily damaged by vandals not long after. Gorgeous glazed roof tiles at Château de la Rochepot. Finally, in 1893, it was purchased by the wife of the then President of the Republic and she gifted it to her son, Sadi Carnot. He began an extensive rebuilding and restoration programme for the next 26 years, throwing himself into the historical research. When you visit the Château, there is a room full of beautiful photos from this restoration period. The Carnot family still own this castle to this day. When you walk in from the car park, there are some outbuildings where you buy your ticket, but they also serve coffee and cake, as well as offer some small souvenirs. There is a little courtyard with tables, and it’s quite lovely. Local craftspeople were setting up stalls as well, offering more cakes, sweet treats, wooden toys and boxes, and more. Once you’re inside the Château, you will be given a brochure with the details about each area. This is a small site, so there is no audio tour or anything, but to be honest, that’s fine. It’s very quiet, and there were maybe five other people there with us, so unless you happen to arrive at the same time as a bus tour, it’s a very relaxed visit. It is ridiculously photogenic, and just wandering the rooms I couldn’t help but imagine what intrigues happened here over the years. The courtyard is beautifully landscaped, and it made the romantic part of my heart sing. With the driving to and from the Château, we spent about three hours in total, so it makes a good half-day trip from Beaune. Very close to the town of Beaune is the Château de Savigny-les-Beaune. This is such an amazing experience, that if you can only make time for one château visit, I’d pick this one, particularly if you have kids with you. Originally constructed in the 14th century, then destroyed less than 100 years later by a vengeful King Louis XI, the current structure was built in the 17th century. However, in 1979 the château was purchased by Michel Pont, a winemaker, collector, and former race car driver. Which sort of explains the extraordinary place today. There are several themed museum areas in the grounds. The first thing you will notice are the three old fighter jets parked in front of the main building. Yes, you read that right. But if you follow the directions of the front desk staff, you visit some outbuildings first for a display of 35 vintage Italian race cars, plus an uncountable number of vintage bicycles. Everything is beautifully displayed, but there is just so much of everything. There are cases containing over 600 model cars interspersed between the actual, full-sized cars. It doesn’t stop there, however. After you’ve taken in the airplanes, the beautiful main building beckons. Indeed, the ground floor is furnished in a vaguely historical style, and the views out to the vineyards is incredible. But venture upstairs, and you will be greeted with a display of motorcycles. My son gleefully counted them and came up with 150, but it seems there are about 300 (we must have missed a wing), dating from 1903 to 1960. Again, interspersed with a dazzling number of models in cases. We spent a few hours here, but if you were an enthusiast of Italian race cars or motorcycles or fire engines or planes or tractors (we skipped this particular collection), I think you could happily spend a full day here. Or three. I love that you can pick up a few bottles of the Château’s wine on the way out, but that’s literally all there is to the ‘gift shop’. This is a gloriously personal collection of things, with not much in the way of interpretative texts, but you can feel the personality of the owner throughout. It’s such a terrific place to visit, if you’re in the area it’s well worth a side trip. PS – Looking for what to do, where to stay, and what to eat in Beaune, France? I have you covered there too. Want to know what kind of drone we fly? I’ve pulled together our drone gear below, please note these are affiliate links. 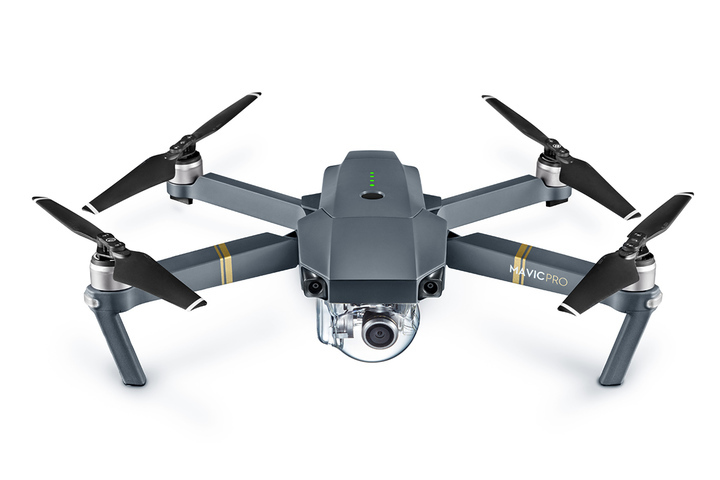 Our drone is the DJI Mavic Pro and we went for the Fly More package and have never regretted it – more batteries are never a bad thing! We recently invested in the quieter blades – they really do make a difference. These Polar Pro filters adjust for different light conditions, and we’ve found they cut down on post-processing time for sure.